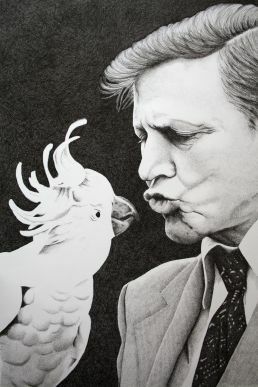 Commissioned portrait of Sir David Attenborough. 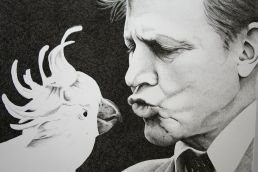 When I saw this picture of a young Sir David kissing a Cockatoo I knew it was perfect – uniquely Australian and full of expression. I’m honestly lost for words to describe him. His passion for the environment is contagious, his narration is timeless. 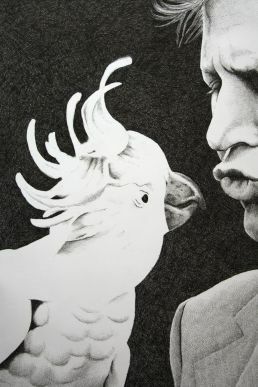 He is responsible for some of the most fascinating documentaries I have ever seen – too many to list.